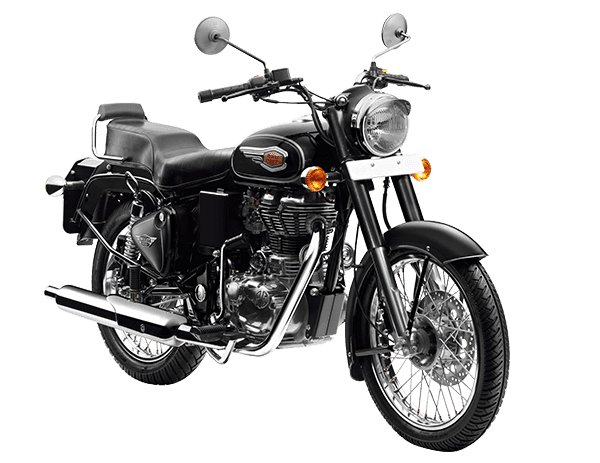 *Actual On Road Price of Royal Enfield Bullet 500 at the dealership may vary. The Royal Enfield Bullet 500 follows the iconic, hand-crafted design of the original 1950s Bullet. In 2017, the Bullet 500 gets no design updates, but gets electronic fuel injection, replacing the carburettor in the outgoing model. The new technology has resulted in marginal increase in power and torque output, but the bike also gains 1 kg weight, with the kerb weight now rated at 194 kg. The Royal Enfield Bullet 500 is available in three shades – Marsh Grey, Forest Green and Black and comes with a standard 280mm front disc brake, contoured single seat and the spoked wheels come shod with MRF Zapper tyres. With all the vibrations and heavy metal stuff..still it roar high among all. With punchy ignition it makes u the king of the road, have it and you never lure for any other bike. Worth investing...go for it. Dont buy it for street racing. Keep riding.. Stay safe.